Written by Khushwant Singh. Westernized Oriental Gentleman (WOG). This story is about a couple that gets married, while the wife is traditional and wants a traditional honeymoon; her husband, a WOG, takes her on an unaccompanied English honeymoon. The main characters are Sen Santosh & Kumari. Eventually, the wife, Kumari commits suicide. Khushwant Singh, humourist, raconteur, editor, shortstory writer, novelist, commentator, has earned a new accolade � "the master spinner of jokes." He has been clubbed together with Birbal, Tenali Raman and Gopal Bhore as one of India's all time great humourists. 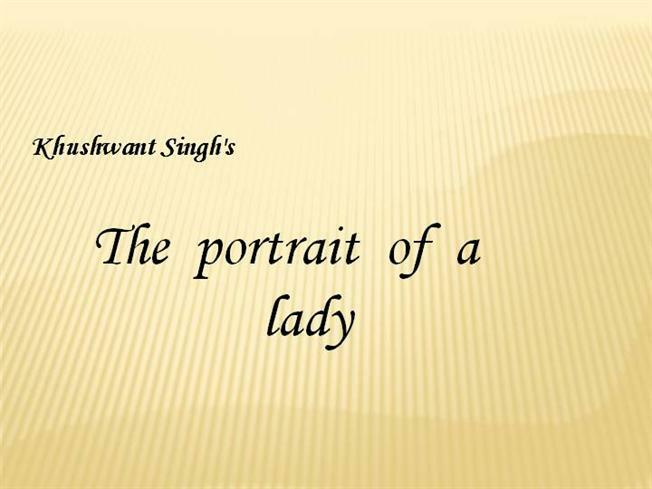 Inimitable Khushwant Singh style and simplicity. Khushwant Singh has provided an informative account of Sikh history, starting with the background on how Sikh religion came to existence and how it propagated in northern India and then culminating (the book) with the end of Sikh empire.